Winning the Serie A title may not be enough to see Allegri holding on to his job, according to reports coming in from Italy. Juventus' failure to reach the UEFA Champions League semi-finals during the year in which they signed Cristiano Ronaldo could still bring massive repercussions, including the possibility of Massimiliano Allegri getting the boot. Jose Mourinho has prepared the world for his comeback, but he is still dropping hints on where he will be coaching...or not. Contrary to popular belief, the Portuguese ace did not include Marcelo on his wishlist, but he added two of his former team-mates at Real Madrid. Cristiano Ronaldo will keep playing for Juventus, but he wants some changes to be done if the bianconeri want to achieve success in the UEFA Champions League, which has become an obsession for both the club and the footballer. The Italian striker was abused by Cagliari fans during yesterday's game, but his reaction after scoring a goal was something else. 19-year-old striker Moise Kean showed how to deal with racist insults yesterday, with fans and colleagues loving him for it. 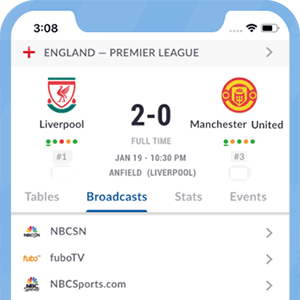 Live Soccer TV's match preview provides match facts, team news, and global broadcast listings for Cagliari vs Juventus. What has been Inter and Lazio's form ahead of this game? Six weeks after his last game with the nerazzurri, Mauro Icardi has finally returned to the team's training sessions.